The Louis August Jonas Foundation’s mission is to develop in promising young people from around the world a lifelong commitment to compassionate and responsible leadership for the betterment of their communities and the world. We do this at Camp by fostering an appreciation of both diversity and our common humanity, expanding intellectual horizons and heightening artistic sensibilities. Our mission is woven into all activities which develop leadership abilities and self-reliance. Camp offers and demonstrates a philosophy of living to serve society through the pursuit of humanitarian goals. LAJF and Camp Rising Sun want to highlight how Camp impacts the lives of our alumni. We are excited to feature counselor Mai-Anh (‘18) from Vietnam. In her own words this how Camp has impacted her life thus far. Hello! Xin chào! My name is Mai Anh, I am from Vietnam but currently attending college in Connecticut. I spent my last summer working as a counselor at Camp Rising Sun and it was an amazing experience that fostered a personal growth that I will always be thankful for. My summer at Camp strengthened my perspective on the concept of a bubble society. The college I am attending, similar to other liberal arts schools in America, is politically and socially active and liberal to a point deemed unrealistic by some social practices. I personally benefit from and advocate for this liberal environment where human beings are not labeled but encouraged to live as they are. However, this is not a shared attitude among everyone I know. I remember some heated dinner debates with my uncle where I defended the liberal ideologies in my college environment when he talked about how colleges have been utopian bubbles of progressivism and created a false idea of the “real world”, saying that they should stop fostering such a good but unrealistic environment to prevent students from encountering a “shock” after graduation. I always knew he had a point, but I believed that the liberal environment I am thriving in has its inherent values, and I had been trying to reconcile between the ideas before coming to Camp. A “bubble” is also essentially what Camp is about; not everywhere in the world will people greet each other each and every morning with a smile, great energy and genuineness. Not everywhere in the world will people give each other compliments and a pat on the back for great efforts made. Not everywhere in the world are opinions encouraged and when feedback is given they come from a place of care and concern for improvement. Not everywhere in the world are differences encouraged to surface and be discussed with an aim to strengthen relationships. Comparing Camp to my college environment, I finally had an answer to myself. My uncle’s point makes sense, but it is formed under the assumption that we are on the receiving end and merely benefit from the good environment, hence when we are in a different and not as fostering environment we will easily encounter a shock. However, each individual at Camp, including both campers and staff members, is in fact also on the giving end, as we benefit from and try to expand the good environment to our communities back home. We become ambassadors for Camp values of diversity, cross-border unity, and concern for the development of others in our communities. This is well conveyed in the mission of Camp. Camp is a bubble to be expanded. I think of Camp’s mission and realize that, as a college student, I have the same one, which is to carry on and spread the ideas and ideologies of the environment that brings us safety and room to thrive. Summer at Camp was also a chance for me to reflect on multicultural background and heritage in the context of globalization. I spent the first 18 years of my life in Vietnam and am currently receiving an education in America and studying French and Francophone culture, all of which have greatly shaped the person I am today. Summer at Camp gave me the chance to reflect on where I stand in terms of representing my background. Being surrounded by campers and fellow counselors from different countries and cultural background, I am inclined to represent the heritage of the place I was born and raised, but it makes my story incomplete because I am the collection of experience that has gone far beyond the border of my nation. I decided to talk in terms of the cultures I have been living through and the ideologies I have resonated with and adopted instead of restricting my experience to a single place or a single culture. This idea became clearer as I thought of the concept of imagined community and questioned what defined myself as a Vietnamese. This conception of cultural heritage is even more crucial in the age of globalization where ideas and ideologies intersect, and people are no longer confined to one place. But of course, adopting a new cultural identity does not mean erasing old ones, and people should be defined as the collection of their experience that comprises of both heritage and adopted ideas across cultures. The key is to be critical, thinking about what to adopt and what not to, keeping in mind cultural dynamics. Camp affects each person in a different way. If you’re a camper, it might be an eye-opening experience that paves the way for more adventures in the future. Camp is a chance for me to reflect on my experience in the last 3 years, which gives me the answers to all of the questions that came up during my time as a college student in America, all of which fostered in me a tremendous growth. I am thankful for this growth; it has become a part of my story, and so has Camp. 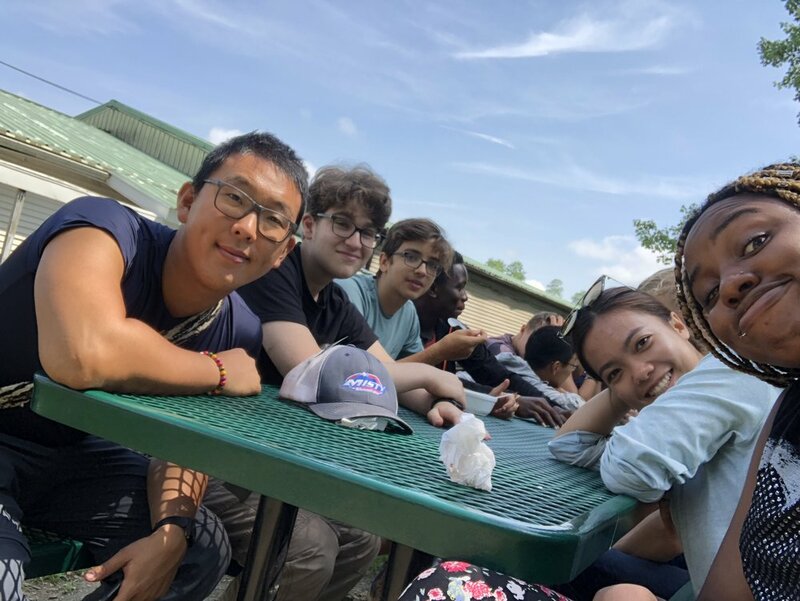 Older PostApplications open for Camp Rising Sun 2019!